Though 2013 started off with shaky sales and modest price growth, the GTA housing market picked up steam in the summer and early fall. 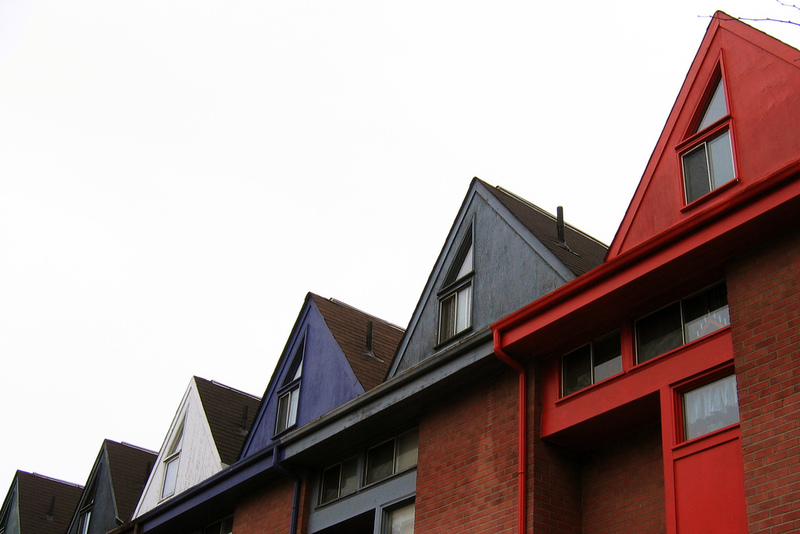 The Toronto Real Estate Board (TREB) recently released the stats for the entire 2013 year and although overall sales and prices were up compared to 2012, the GTA’s road to year-end increases was full of dips and peaks. Monthly home sales remained below 2012 levels for the entire first half of the year, but in July the trend reversed dramatically with a 16.4 per cent year-over-year increase (Tweet this). 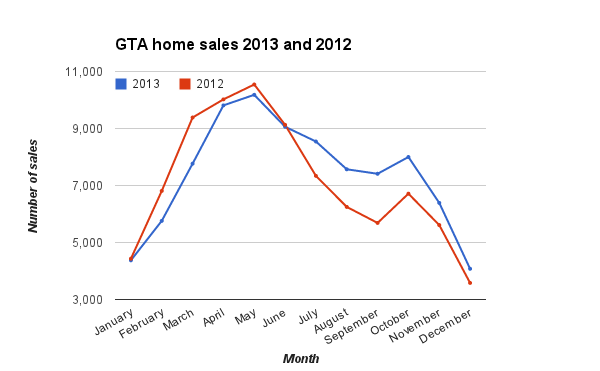 After July, sales kept their momentum for the rest of the year and stayed well above 2012 levels for the remainder of 2013. 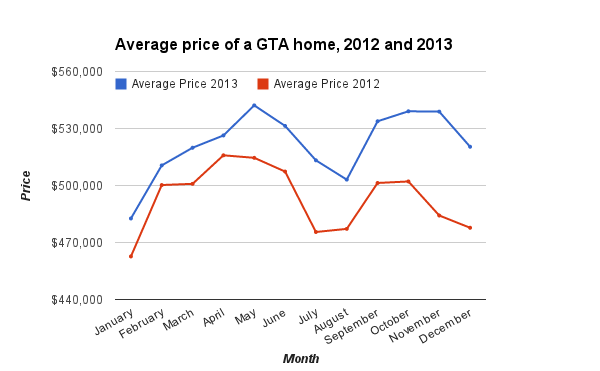 GTA home prices rose every single month last year, with November seeing the biggest year-over-year price increase with an 11.3 per cent leap (Tweet this). Home prices didn’t just rise in a straight line in 2013 – they peaked in May with an average price of $542,174, before settling in at $520,398 last month. 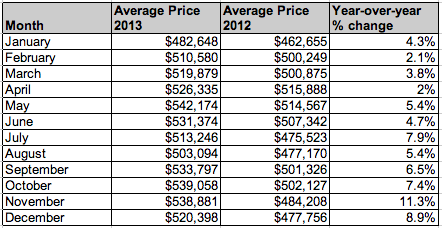 There’s something about May, which saw prices and sales spike at their highest points in both 2012 and 2013. 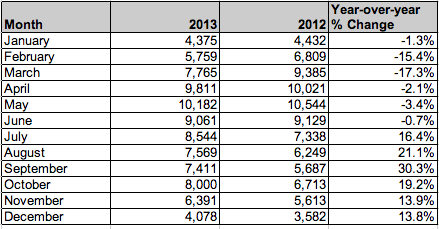 Compared to 2012, the range of sales in 2013 was slightly less rocky: 2012 peaked at 10,544 and dropped to 3,582 at their lowest point while 2013 sales ranged between 10,182 and 4,078. Note: TREB numbers are revised on a monthly basis so there may be minor inconsistencies in totals from previous reports.